Did you know that family history is not just for old people? Did you know that family history is FUN? Did you know that family history is totally doable, even for a mom with little kids? Did you know that the blessings of family history and temple work are HUGE? They are not to be missed! Family history work will help you have clothes for your children, peace of mind, more joyful relationships in your family, fewer whisperings of the adversary, and happiness. A fascinating and encouraging story by a busy young mother of how she fit in family history work amidst all of her demands appeared in the August 2006 Ensign, pages 34 to 38. It’s by Kim Sorenson. See http://lds.org/ensign/2006/08/blessings-for-my-ancestors-blessings-…. Read it! It’s really good. I loved her descriptions of the blessings that flowed from doing this work. Because of her sacrifices to do family history research, she was blessed with HUGE blessings. Her family’s health was better, her appliances and cars broke less often, and she was able to attract clothes her son needed for his scout trip at a garage sale for a really cheap price. It was her story that inspired me as a mom with young children to start doing family history work. I encourage every young mom to read it. It will take away your excuses! Family history is even becoming hip and cool with shows like Who Do You Think You Are? Lots of bloggers are getting into family history. Here is a list of bloggers involved with the upcoming Roots Tech 2013 conference this weekend at the Salt Palace in Salt Lake City, Utah. It is so fun to discover these stories about my roots! What stories are waiting for you to discover about yours? Here is a place on my web site here where you can learn more about getting started with family history research. And great news…the LDS Church is sponsoring Roots Tech 2013, a huge conference this weekend about the merging of technology and family history. You can even watch some sessions from home, for free! The following is what I copied and pasted from the Church’s web site. Several opportunities are available to learn more about family history in conjunction with the RootsTech family history and technology conference on March 21–23, 2013, in Salt Lake City, Utah. For more information about RootsTech 2013 or to register for the conference, go to thewww.rootstech.org. Not Able to Attend RootsTech in Person? The following “Best of RootsTech” sessions will be streamed live online all three days of the RootsTech conference atwww.rootstech.org. These are just 13 of more than 250 classes available at the conference. Two training sessions specifically for family history consultants will be streamed live atlds.org/familyhistorycallings. The Church’s Family History Department is offering several free sessions and activities specifically for Church members and youth on Saturday, March 23, in conjunction with the RootsTech Conference. Free training sessions for members with family history-related callings such as family history consultants as well as other priesthood and auxiliary leaders will be available. Three General Authorities will join with Family History Department staff to teach sessions. Elder Allen F. Packer of the Seventy will give an address at a 9:45 a.m. devotional on Saturday, March 23, followed by addresses from Elder Paul E. Koelliker and Elder Bradley D. Foster of the Seventy on the role of family history in the work of salvation. Attendees will also get a sneak peek at new features on FamilySearch.org. Register for the free training at www.rootstech.org/FHcallings (separate registration is required for both the free training and the RootsTech Conference). On Saturday, March 23, youth ages 11–18 are invited to participate in a number of classes and activities at the Salt Palace Convention Center, including a Geneaology Merit Badge and Personal Progress Booth, a class by popular EFY speaker Ryan Sharp, and a youth panel discussion. David L. Beck, Young Men general president, will speak to youth leaders about how family history work can bless the lives of youth. That evening, Sister Elaine S. Dalton, Young Women general president, will be the speaker at a special devotional for youth at 6:00 p.m. in the Salt Palace Convention Center, Hall 2. See www.rootstech.org/youth for more details and to register. 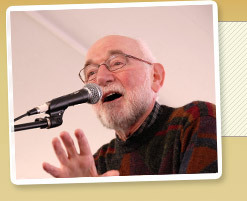 And if you can make it in person, come the free storytellers’ conference with Syd LIeberman. I really want to go to this! Friday, March 22, 6:00-9:00 p.m.
There’s nothing like sitting back to listen to a well told story. Join us at the Conference Center Theater for an entertaining evening with our featured storytellers as they tell some of their favorite stories. Your sure to delight in the uniqueness of each storyteller while celebrating in the commonalities we all share. 6:30 PM Storytelling Concert featuring: Ginger Parkinson, Jan Smith, Syd Lieberman, and Kim Weitkamp, with Emcee Teresa Clark. No registration is needed for this event. Seating will be on a first come, first seated bases. We recommend you arrive early as this venue only seats 150 folks.